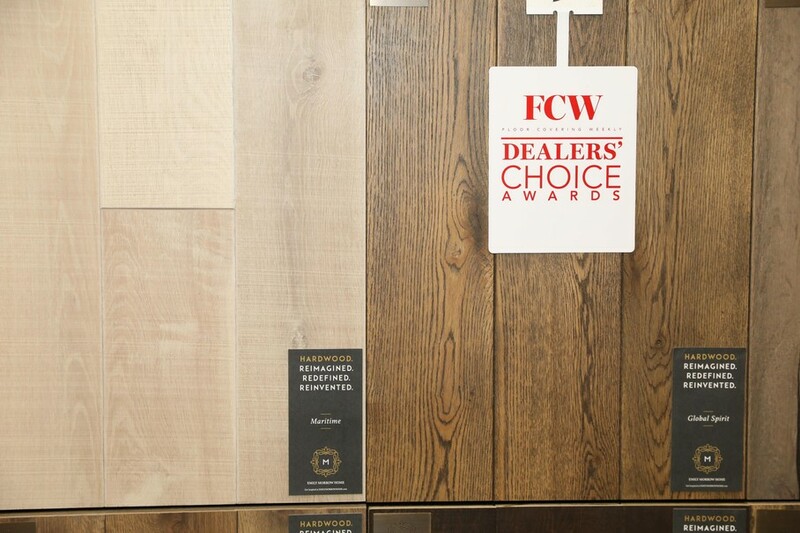 The Emily Morrow Home collection of American-made, handmade hardwoods was nominated for two awards at The International Surface Event. In a show dedicated to floor coverings and surfaces from hundreds of manufacturers and designers across the world, it’s hard to stand out from the pack. However, Emily Morrow Home does just that. At her debut showing at The International Surface Event (TISE), Emily Morrow Finkell, owner of Emily Morrow Home, spoke with Christopher Grubb, the renowned interior designer and president of Arch-Interiors Design Group, about her show-stopping, award-nominated hardwood collection. Emily Morrow Home was one of the talks of this 2018 TISE show, partly because, according to Christopher, “The line is super identifiable and very unique.” It’s this one-of-a-kind craftsmanship, which includes impressive attention to detail, that’s evident on every solid wood plank offered by Emily Morrow Home. “Our lines speak to handcrafted ability. We show the touches — the way the saws go across the wood. We can show the grain,” Emily told Christopher. With these touches, Emily Morrow Home presents a hardwood collection that’s unmistakably, well, wood! Speaking at length about their handmade approach to manufacturing, Emily touted her company’s innovative systems, which includes hiring civilians as well as providing employment to inmates at Turney Correctional Facility in Tennessee. This distinct method stood out to Christopher, who wanted to learn more about the role the employees play in creating these beautiful hardwoods. “[Our handmade approach] gives us design flexibility that’s incredibly detailed. When you look at these products, you see layer after layer of a hand’s touch,” Emily explained. Considering the amount of time and heart put into the line, Christopher noted that it’s “price-point friendly” especially for such as high-level of quality. “The product is about $10 per square foot,” he noted. Without a doubt, Emily Morrow Home Hardwoods feel different than other similar products on the market. For starters, Christopher noted the company’s “impressive wood treatments” which include a scratch-resistant and low-to-zero VOC aluminum oxide finish. 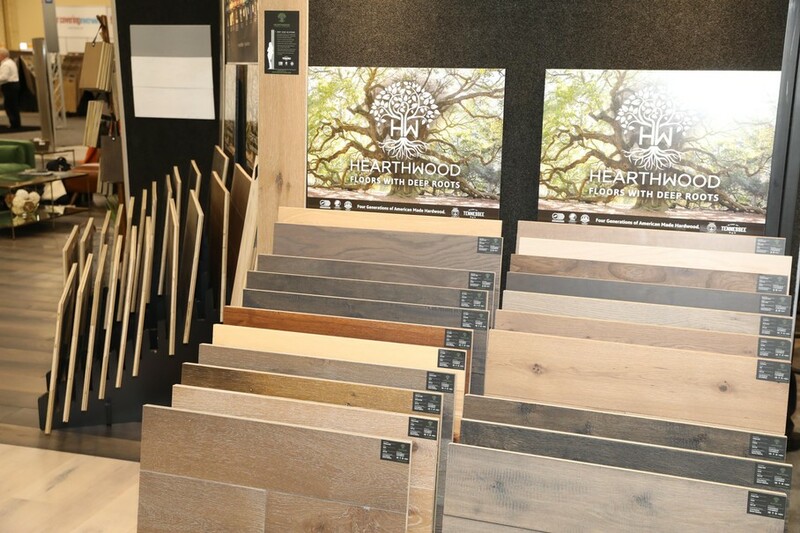 Additionally, for consumers worried about the environmental impact of purchasing hardwoods, Christopher and Emily both noted Emily Morrow Home’s sustainable approach to sourcing. “These are American-made floors from American-sourced hardwoods. We’re making products in Tennessee, where there’s a real abundance of hardwoods. Our forests are managed well, and it’s a known, safe resource of raw materials,” she explained. Above all, the Emily Morrow Home hardwood collection doesn’t feel “trendy,” but it’s on-trend, per Christopher. By focusing on the wood’s raw beauty, Emily Morrow Finkell and her team at Emily Morrow Home are accentuating the wood’s natural exquisiteness and turning it into a product people love.